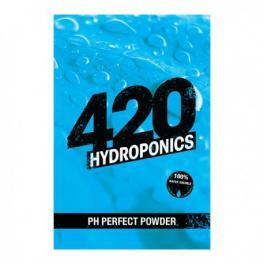 pH Perfect Powder 420 hydroponics decrease the pH of the nutrient solutions. Pure and concentrated. Lowers the pH of the nutrient solutions. Ammonium phosphate is less acidic than the urea phosphate, therefore safer to use. 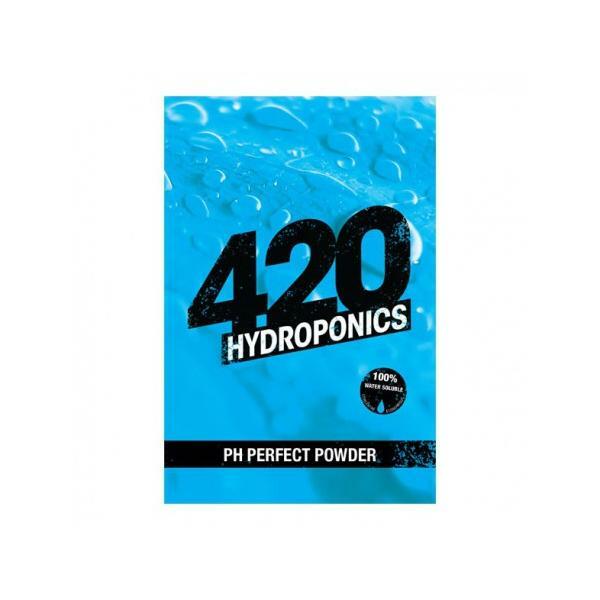 420 HYDROPONICS pH PERFECT POWDER is designed for hydroponic horticulture. Easy to use. To reach pH of 5.0 to 6.0, in the majority of the water, 0.25g to 1 g per liter. Do not mix pH PERFECT POWDER with calcium and magnesium fertilizers. To avoid precipitation, dissolve pH PERFECT POWDER and calcium or magnesium in different tanks before mixing.